SignalTight™ drop connectors for 6 Series cable minimize the number of self installs that become truck rolls. SignalTight™ technology enables signal transmission approaching that of a fully tightened connector, even if left loose.Economical for Use on All RG6 Coaxial Cables with 60%, Tri and Quad-Shield. Now, knowing the Brand, Jacket Type and Percentage of Braided Shield Content doesn't Matter! 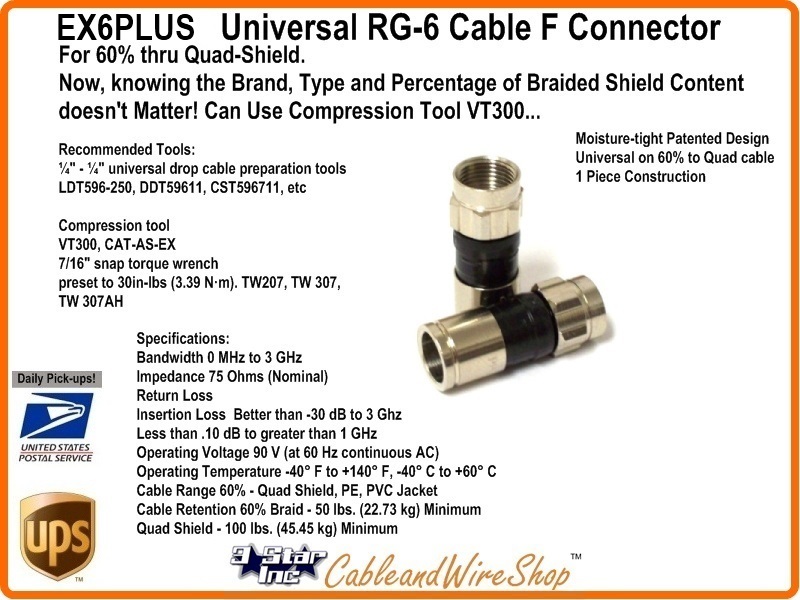 • One connector for 6 Series SCTE specification drop cables including 60% braid, Tri-shield and Quad shield. • To reduce assembly time and simplify installation, the plastic compression sleeve is incorporated into the connector body. • True 360° compression onto cable ensures superior RF shielding performance. • Installation requires one-step 1/4” - 1/4” cable preparation. 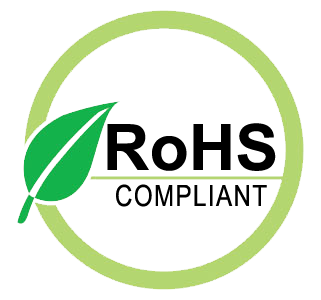 • Quad-sealed system prevents moisture migration. • Incorporates an iridescent chromate finish plus UV resistant plastic to provide a reliable, environmentally sealed product. • Cable retention exceeds 40 lb. minimum as specified by the SCTE.